Watersheds are mosaics of interdependent habitats. 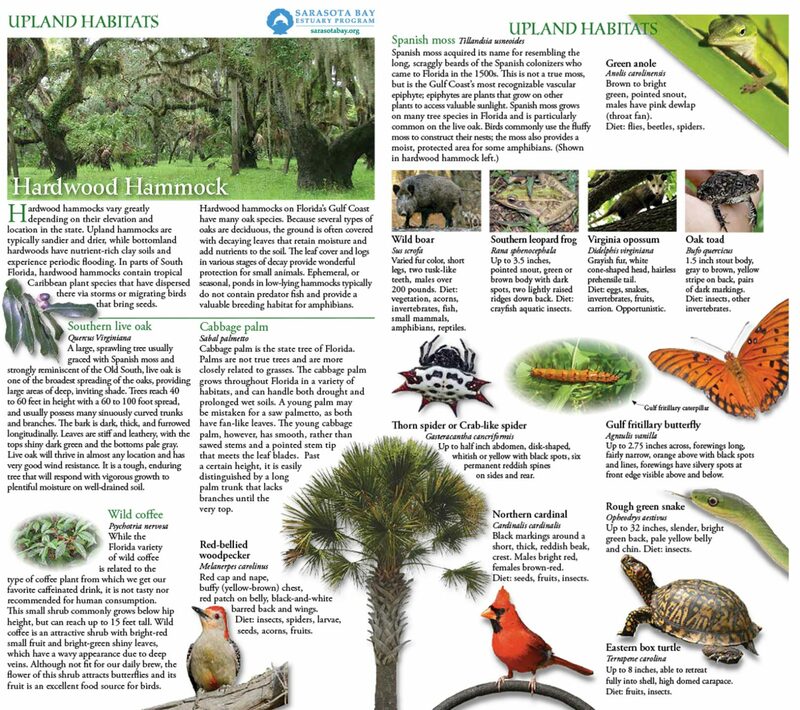 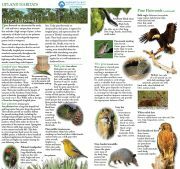 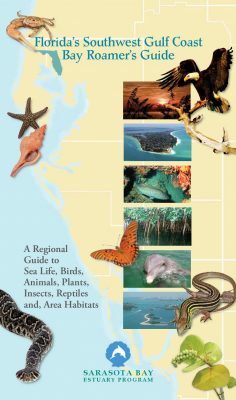 As water flows through the Sarasota Bay watershed, it trickles through pine flatwoods, scrub, and urbanized areas before reaching mangrove wetlands and brackish estuarine waters, finally reaching the Gulf of Mexico through one of the Bay's four passes. 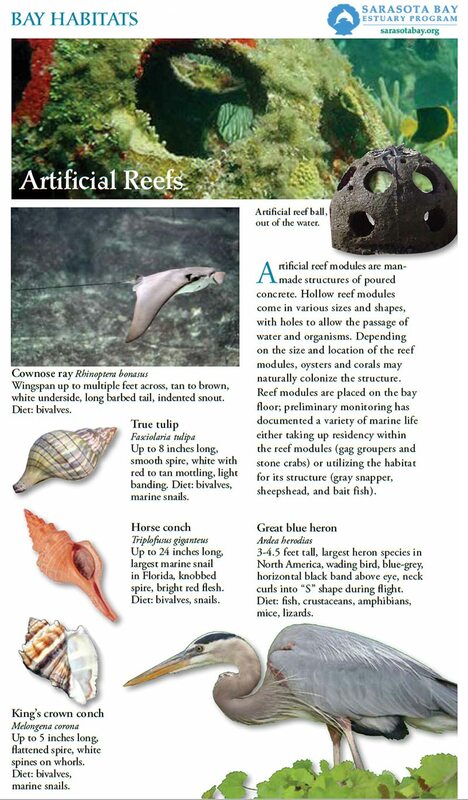 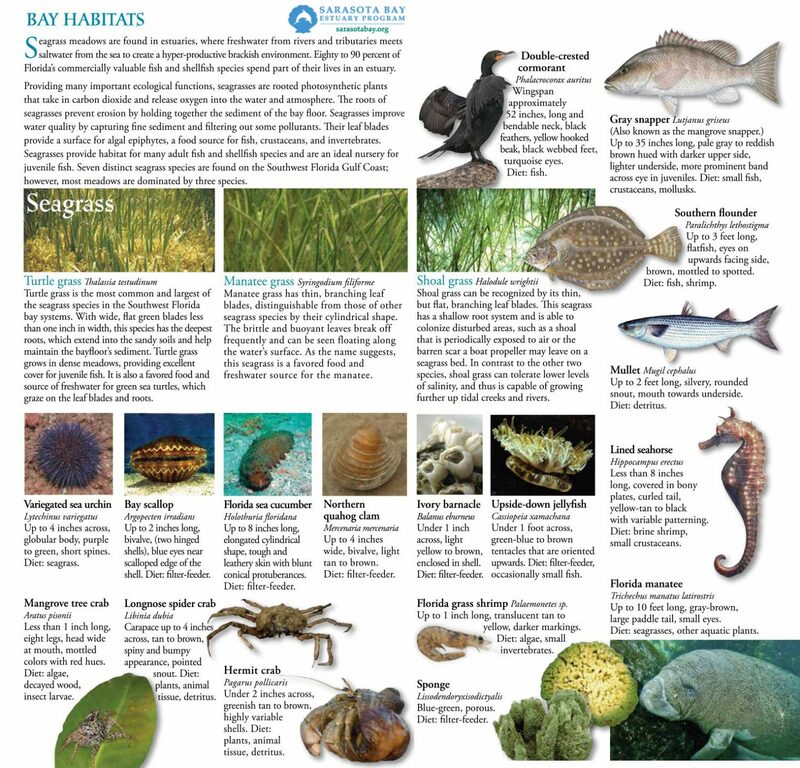 Sarasota Bay is carpeted in seagrasses and studded with oyster beds. 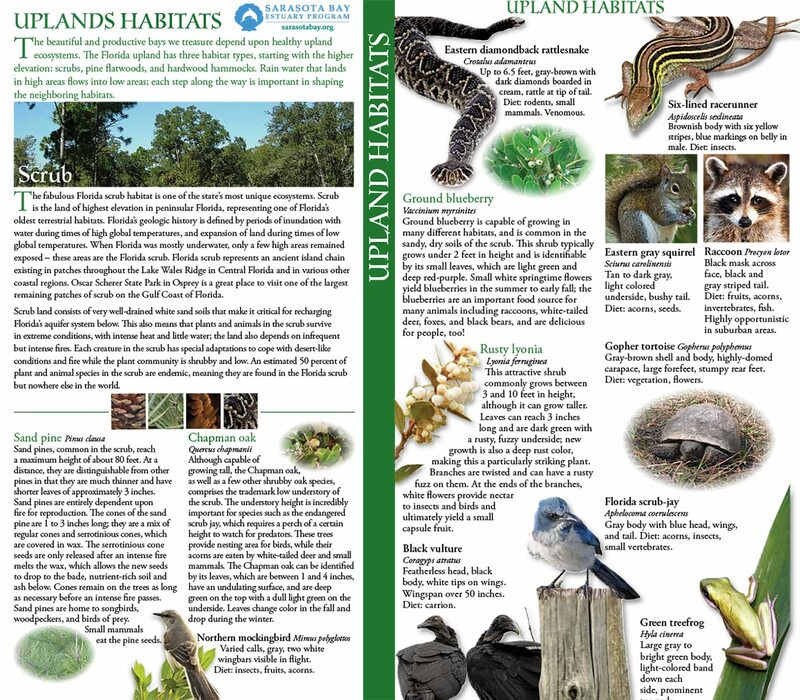 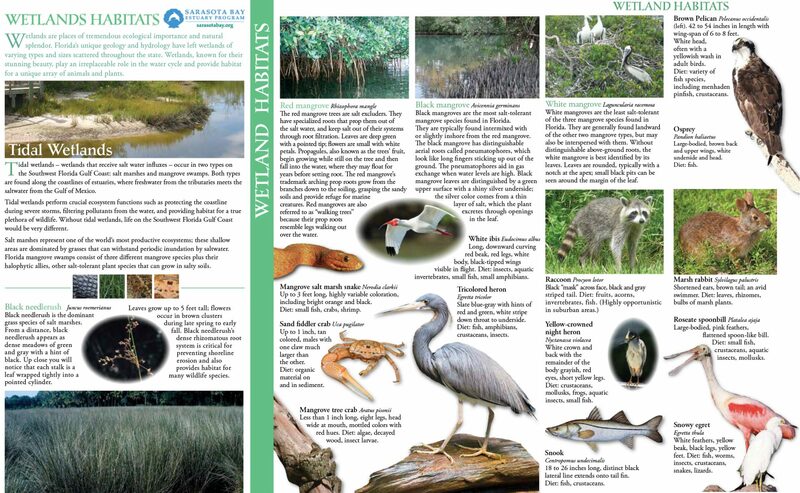 Most wetlands in the Sarasota Bay watershed are tidal wetlands dominated by mangroves, the trees that "walk on stilts." 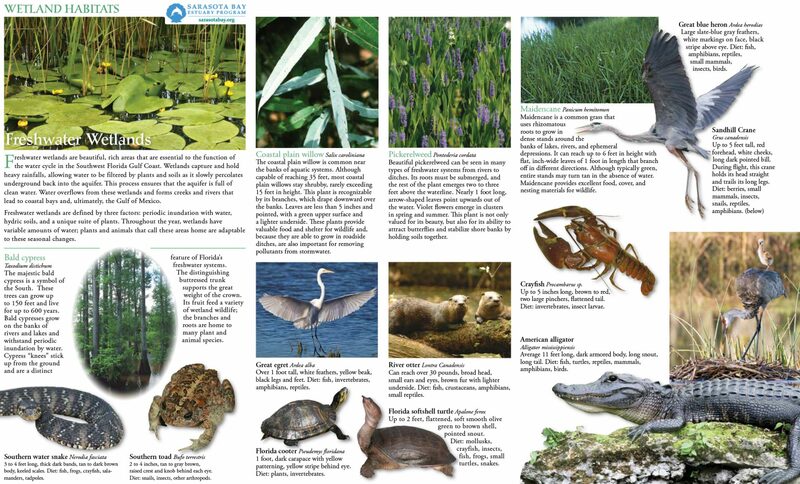 Patches of freshwater wetlands occur inland. 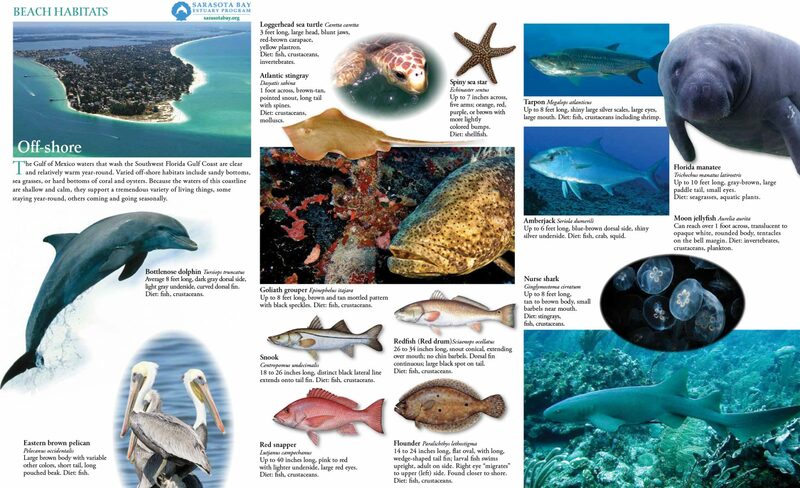 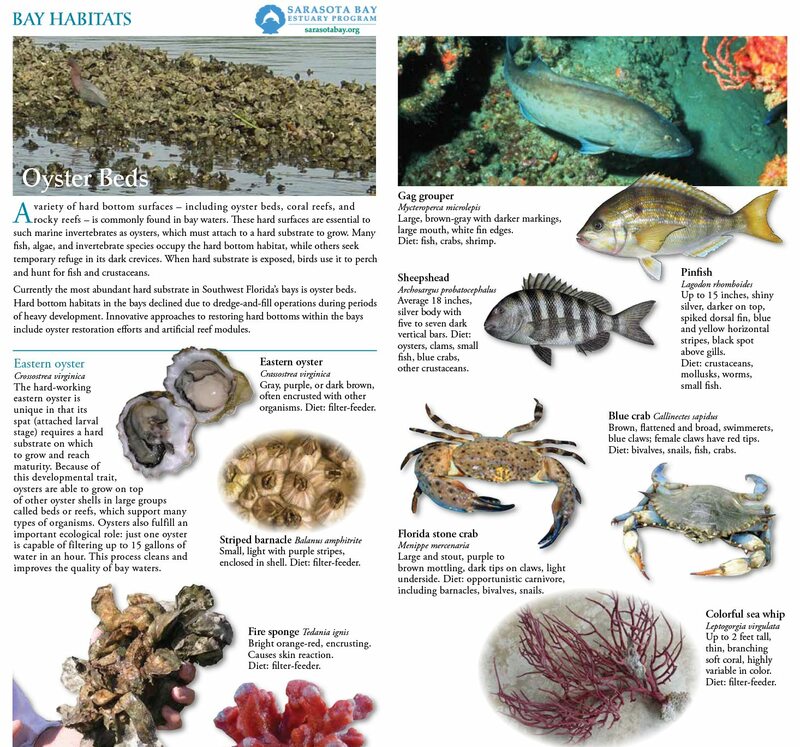 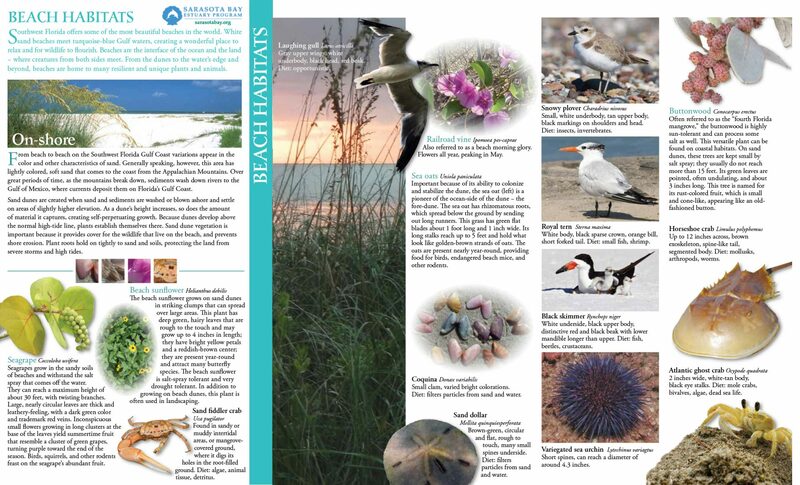 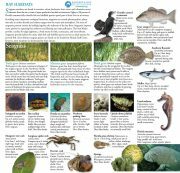 Diverse wildlife in the Gulf of Mexico depend on estuaries like Sarasota Bay for nesting, spawning, calving, and raising young. 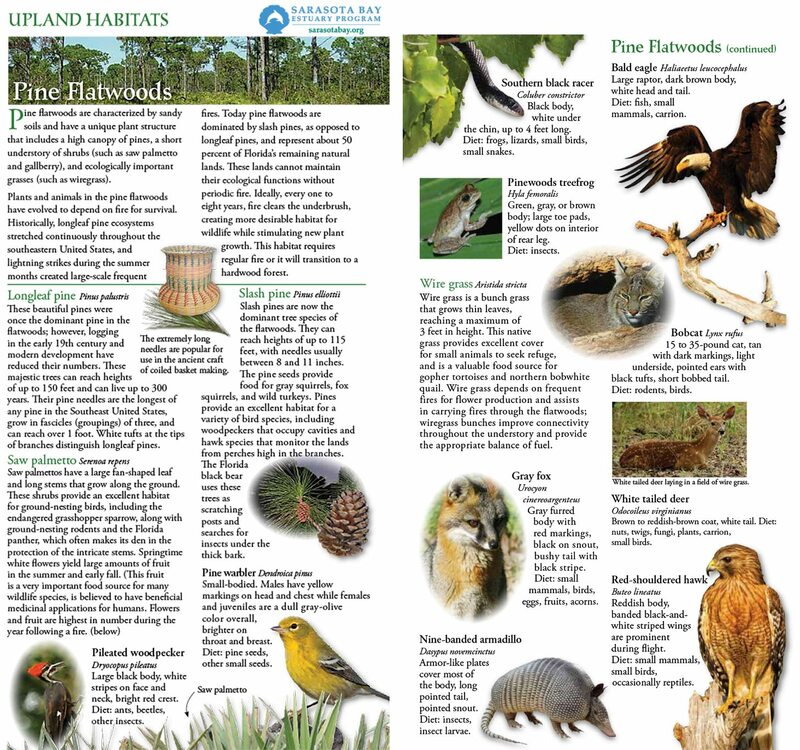 Upland habitats have well-drained soils that rarely flood.